…towards safeguarding the accomplishments of our people throughout this long struggle and out of loyalty to our martyrs, prisoners and our injured and given that we are still in the a phase of liberation, this necessitates that we formulate a political strategy. Therefore, with the goal of making our comprehensive national dialogue a success, based on the Cairo Declaration and coupled with the urgent need for unity and solidarity, we put forth this document (the national conciliation document) to our people, President Mahmoud Abbas (Abu Mazen), the PLO leadership, Prime Minister Ismail Hanieh, the Council of Ministers, the Speaker and members of the PNC, the Speaker and members of the PLC, all Palestinian forces and factions, all nongovernmental and popular organizations and institutions and to the popular leadership of the Palestinians in the homeland and in the Diaspora. 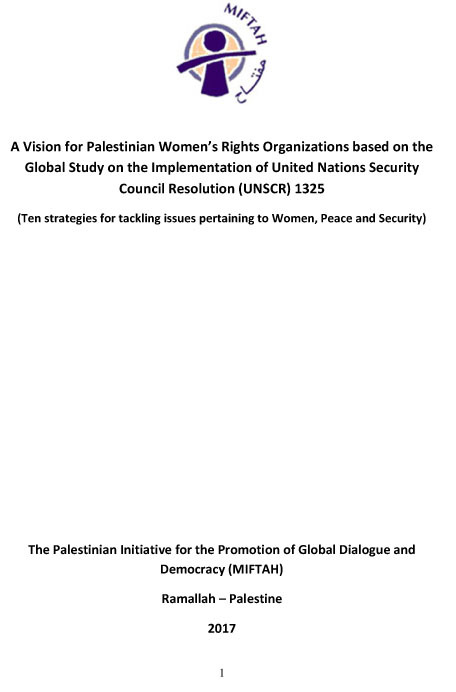 This document is being put forth as a complete package, with the hope that it will get the support and approval of everyone and that it can contribute to reaching a Palestinian national conciliation document. The Palestinian people in the homeland and in the Diaspora seek to liberate their land and to achieve their right to freedom, return and independence and to exercise their right to self-determination, including the right to establish their independent state with al-Quds al-Shareef as its capital on all territories occupied in 1967; the people also aim to secure the right of return for refugees and to liberate all prisoners and detainees based on the historical right of our people on the land of our forefathers and based on the UN Charter and international law and legitimacy. To speed up efforts to achieve that which was agreed on in Cairo in March 2005 pertaining to the development and reactivation of the PLO and the participation of Hamas and the Islamic Jihad in the PLO, which is the sole legitimate representative of the Palestinian people. This is aimed at meeting the changes in the Palestinian arena according to democratic principles and endorsing the authority of the PLO to assume its responsibilities in leading our people in the homeland and the Diaspora. The PLO should also be the body that mobilizes the people in defending their national, political and humanitarian rights in the various fora and circles and in the international and regional arenas. Furthermore, our national interest stipulates the formation of a new Palestinian National Council before the end of 2006 in a manner that secures the representation of all Palestinian national and Islamic forces, factions and parties and all sectors of our people according to proportional representation. The PLO therefore, will remain a broad front and framework and a comprehensive national coalition for all the Palestinians in the homeland and in the Diaspora and will remain the higher political reference. The right of the Palestinian people to resist and to uphold the option of resistance by various means while focusing on resistance in territories occupied in 1967 in tandem with political action, negotiations and diplomacy whereby there is broad participation from all sectors in the popular resistance. 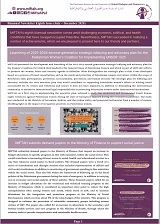 To formulate a Palestinian plan aimed at comprehensive political action; to unify Palestinian political discourse on the basis of a Palestinian national consensus program, Arab legitimacy and international resolutions that grant justice to the Palestinian people represented by the PLO, the PNA represented in president and government, the national and Islamic factions, the civil society organizations and public figures. This is aimed at mobilizing Arab, Islamic and international political, financial, economic and humanitarian support and solidarity with our people and the PNA and to gain support for the right of our people to self-determination, freedom, return and independence; furthermore, it is aimed at confronting Israel’s plan to impose any unilateral solution on our people and to confront the oppressive siege on the Palestinians. To protect and support the PNA since it is the nucleus of our future state and was born of the struggle and sacrifices of the Palestinian people; to stress that higher national interests call for respecting the interim constitution of the PNA and the effective laws and for respecting the responsibilities and authorities of the president elected according to the will of the Palestinian people through free, honest and democratic elections. It also calls for respecting the responsibilities and authorities of the government granted by a vote of confidence from the PLC. To focus on the importance and need for creative cooperation between the presidency and the government; there should be joint action and regular meetings between them to settle any disputes that might arise in accordance with the interim constitution. All actions should be taken for the sake of Palestinian higher interests and for the need for comprehensive reforms in PNA institutions, especially the judiciary whereby the judiciary authority should be respected at all levels, its rulings implemented and where it is allowed to reinforce the rule of the law. To form a national unity government that secures the participation of all parliamentary blocs, especially Fatah and Hamas, and the political forces interested in participating on the basis of this document and the joint program to upgrade the Palestinian situation at the local, Arab, regional and international levels. Their goal is also to confront any challenges through building a strong national government with Palestinian popular and political support from all forces that considers the interests of all those who carried the burden of steadfastness, resistance and the Intifada and who were the victims of the Israeli aggression. In particular, this refers to the families of martyrs, prisoners and injured and the owners of demolished homes and properties, destroyed by the occupation, in addition to caring for the unemployed and graduates. Administration of the negotiations falls within the jurisdiction of the PLO and the President of the PNA, which will be on the basis of adhering to Palestinian national goals and achieving these goals on condition that any final agreement must be presented to the new PNC for ratification or a general referendum must be held whenever possible. Liberation of the prisoners and detainees is a sacred national duty that must be assumed by all Palestinian national and Islamic forces and factions, the PLO and the PNA represented in President and government, the PLC and all resistance forces. Stressing on the need to double our efforts to support and care for the refugees and defend their rights and to plan on holding a popular conference representing the refugees that would create commissions to carry out duties towards the refugees and to stress on the right of return; the international community should also be pressured to implement Resolution 194 which stipulates the right of refugees to return and to be compensated. To work on forming a unified resistance front called the "Palestinian Resistance Front" to lead and engage in resistance against the occupation and to form a unified political reference for the front. To cling to the principles of democracy and to hold regular, general, free and honest democratic elections according to the law for the presidency, the PLC and the local and municipal councils and to respect the principle of a peaceful and smooth transfer of authority; the Palestinian democratic experience should be protected and any democratic choice and its results respected; furthermore, there should be respect for the rule of the law, public and fundamental freedoms, freedom of the press and equality among the citizens in rights and duties without discrimination; the achievements of women should be respected and further developed and promoted. To reject and denounce the oppressive siege on the Palestinian people being led by the US and Israel and to call on the Arabs at the popular and official levels to support the Palestinian people, the PLO and the PNA and to call on the Arab governments to implement the political, financial, economic, and media decisions of the Arab summits that support the Palestinian people and their national cause; to stress that the PNA is committed to the Arab consensus and to joint Arab action. To call on the Palestinian people to strive for unity and solidarity, to unify their ranks and to support the PLO and PNA represented in president and government; to endorse the people’s steadfastness and resistance in the face of Israeli aggression and siege and to reject any interference in internal Palestinian affairs. To denounce all forms of division that could lead to internal strife; to condemn the use of weapons in settling internal disputes and to ban the use of weapons among the people; to stress on the sanctity of Palestinian blood and to adhere to dialogue as the sole means of resolving disagreements. There should be freedom of expression through the media, which also applies to any party in opposition to the authority and its decisions in accordance with the law; adherence to the right to peaceful protest and to organize marches, demonstrations and sit-ins on condition that they be peaceful and unarmed and do not attack the property of citizens or public property. The national interest necessitates the need to find the best means of allowing our people and their political forces in the Gaza Strip to participate in the battle for freedom, return and independence and in the struggle to liberate the West Bank and Jerusalem; our national interest necessitates reassessing our means of struggle in order to find the best methods of resisting the occupation. The need to reform and develop the Palestinian security system in all its branches in a manner that allows them to assume their responsibilities in defending the homeland and people and in confronting the aggression and the occupation; their duties also include maintaining security and public order, enforcing laws, ending the state of security chaos and lawlessness, ending the public show of arms and parades and confiscating any weapons that harm the resistance and distort its image or those that threaten the unity of Palestinian society; there is also a need to coordinate and organize the relationship between the security forces and the resistance and organize and protect their weapons. To call on the PLC to continue issuing laws that regulate the work of the security apparatus in its various branches and to work towards issuing a law that bans the exercise of political and partisan action by members of the security services whereby they are required to abide by the elected political reference as defined by law. To work on expanding the role and presence of international solidarity committees and peace-loving groups that support our people in their just struggle against the occupation, settlements and the apartheid wall both politically and locally; to work towards the implementation of the International Court of Justice ruling at The Hague pertaining to the dismantlement of the wall and settlements and their illegitimate presence.